Dee has a strong commitment to safely inviting the full self; body, mind and the intuitive/spiritual center into the therapeutic process – creating opportunities for insights into thoughts, emotions and behaviors that support and empower clients healing, growth and change. 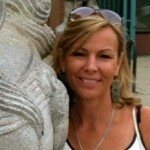 Dee utilizes traditional psychological theories and body-inclusive techniques along with various spiritual tools to support the healing process. I have extensive experience working with individuals who find themselves struggling with the impact of sexual/domestic violence. Issues with nervous system regulation, disordered eating, loss and grief, depression and anxiety, attachment concerns, relationship challenges and spiritual devastation and confusion. I have worked with clients in both individual and group sessions. Prior to entering private practice I was the founder and Director of the Body-Integration Program at The Center For Contextual Change – a center exclusively devoted to the treatment of survivors of sexual/domestic violence. The desire to accompany survivors of violence on their journey of healing was my motivation for entering the field of psychotherapy. Through my own journey of healing I returned to the belief that a sense of safety, internal peace, love, and joy are our birthright. Violence steals these precious rights. Healing is possible. I also believe that in whatever ways we feel called, there is a duty to participate in the care and healing of our collective fellow beings. Working as a holistic trauma psychotherapist is my contribution to this belief. As an experienced trauma therapist I understand that there are thankfully numerous modalities that can offer healing opportunities for survivors. Along with traditional talk therapy I offer clients the invaluable opportunity to befriend their body again in a safe, therapeutic way. Modalities I offer my clients to incorporate into their sessions are art therapy, writing, mindfulness, meditation, mantra, breath work, yoga, guided imagery and Emotional Freedom Technique (tapping) and energy awareness. I utilize Becoming Safely Embodied and Safely Attached curriculum as well as DBT, LifeForce Yoga and Yoga Nidra. The Clinical Social Work Journal 2014 published an article I co-Authored with Peg Duros, LCSW, The Body Comes to Therapy Too, which synthesizes current information on traumatic stress, the neurobiology of trauma, and evidence-based, body-integrative interventions for healing and resilience. Recent modern technology has proven that emotions are accompanied by chemical responses that cause changes in the brain and physical body. I utilize therapeutic interventions that produce physical/bio-chemical and psychological change by working with the nervous system. This framework for therapy greatly reduces the self-blame and shame of survivor’s symptoms. Clients issues are explored in a non-judgmental, compassionate curious way. My practice focuses on the resiliencies of my clients therefore seeking to embrace coping skills/trauma responses as survival skills that have perhaps outlived their usefulness or necessity. Focusing on safety in the therapeutic relationship and the belief that everyone has a healer within, I encourage my clients to access their own innate wisdom and intuition to explore healing modalities that meet their personal needs, desires and comfort level. The full self; body, mind and spirit are encouraged and welcomed to safely join the healing process and I openly offer clients the opportunity to explore how their trauma experience may have impacted their spiritual understanding/beliefs. By overtly engaging in conversations at the beginning of treatment and with ongoing regularity during treatment about safety, the collaborative therapeutic process and power dynamics, I ensure my clients that they are in control of their process. I am here as a wise compassionate guide only by their invitation – to hopefully help illuminate the path to their healing.